From working to return composting facilities to Sonoma County to reducing single-use plastics, 350 Sonoma is focused on achieving zero waste. Stay tuned as we track the issues to keep you informed and provide opportunities to take action. 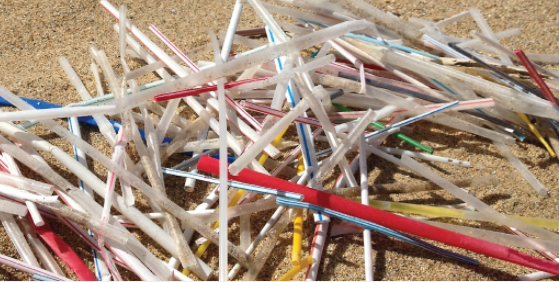 reducing single-use plastics such as straws, beverage lids, etc. working in coalition with other environmental, environmental-justice, and labor groups to bring a green and labor-friendly garbage hauler to Santa Rosa. It has been a big month for the Zero Waste team. We worked with the Santa Rosa Junior College student sustainability group to present Wasted, a deep and sometimes profane look at food waste throughout the world. The conversation that followed was lively and informative. We were also instrumental in converting the Santa Rosa Earth Day to a Zero Waste event. As part of the effort, our own Sunny Galbraith organized 30 middle school and high school student volunteers who sortied garbage, separating compostible and recyclable materials from trash while educating the public. In addition, several 350 folks are participating in the “Zero Waste Curious” trainings, where we are being trained by Portia Sinnot of Zero Waste USA to give 20-minute informational presentations about Zero Waste to the general public. On May 10th, we participated in the second-annual Sonoma County Zero Waste Symposium, which featured an amazing collection of knowledgeable and inspirational speakers. This event, somewhat coincidentally, marks the beginning our push to get city councils and the county board of supervisors in Sonoma County to pass a Zero Waste resolution. The Zero Waste policy resolution was crafted by a large group of community and business members interested in promoting specific city and county action to reduce waste and climate warming emissions, while promoting good jobs.